If you are charged with a criminal offense – it is important that you understand what is happening to you and why. In criminal law, entrapment is when a law enforcement agent induces a person to commit a criminal offense that the person would have otherwise have been unlikely to commit. If the crime is promoted by a private person who has no connection to law enforcement, that is not entrapment. The rationale of entrapment is to deter law enforcement from engaging in bad behavior by inducing a person, not already considering the commission of a crime, to engage in criminal activity. Some deception on behalf of the police is acceptable. However the police cannot use fraud to entice a person to commit a crime that they were previously unwilling to commit. The the person is already planning or willing to commit a crime and the police just supplied the opportunity, this is not entrapment. Most states require a defendant to raise the defense of entrapment. Entrapment is not a constitutional defense, it is statutory and it is not available in all states. Michigan allows for a defendant to raise the issue of entrapment on a felony or misdemeanor. When Facing Criminal Charges Contact the Highly Experienced Detroit Area Criminal Lawyers with LEWIS & DICKSTEIN, P.L.L.C. When you are facing criminal charges it is scary. Things move quickly and things are said that can be confusing and easy to misunderstand. Before anything is said, or happens, that might hurt you and your situation, it is important that you get the best legal representation available. You must protect yourself when you freedom is at stake. The Detroit area criminal lawyers with LEWIS & DICKSTEIN, P.L.L.C. are proven fighters. They are well respected and have an impressive record of success. LEWIS & DICKSTEIN, P.L.L.C. 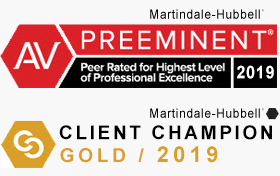 takes its obligation to our clients very seriously. 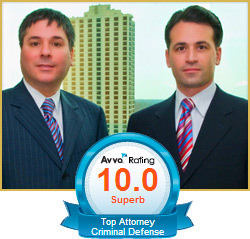 Our Detroit area criminal lawyers take the time to get to know you and treat you like family. 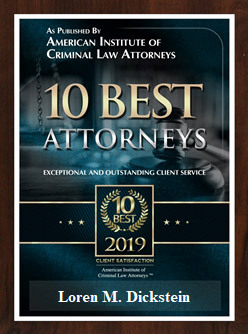 If you have any questions, please call us at (248) 263-6800 for a free consultation or complete a Request for Assistance Form and one of our top notch attorneys will call you.